Ever since the fashion genius Tom Ford transformed Gucci from traditional old money chic (sometimes a little boring) to this ultra glam, rock star, trend-setting fashion house; their fashion accessories & handbags has capture our attention season after season. 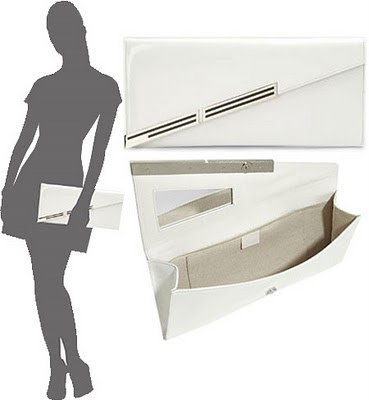 This fabulous clutch comes in glossy white or black patent leather. The shine from the patent leather makes it perfect for going out with the girls for drinks in the city, and the larger size of this bag also makes it a bit casual that can be use during the day! 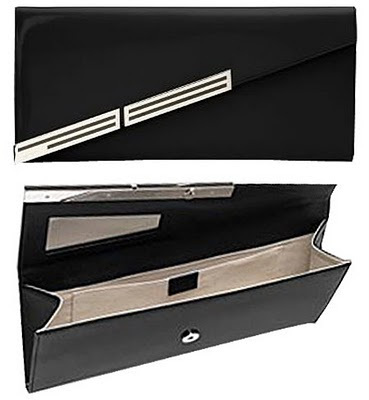 I just LOVE the asymmetrical flap closure with the super chic metal & enamel detailing! The asymmetry of the flap gives just a hint of a geometric feel without being too avan garde. This oversized clutch measures 15.25" W x 6.25" H x 1" D, it will go with all of the outfits in your closet & adds a touch of "Uptown chic & Downtown cool" look to any looks! This bag is now available for pre-order ( should be in stores in april) so fo course I am already on the waiting list for both color of this super fabulous clutch! it's a must-have girls! Click here to go to SaksFifthAvenue.com or Gucci.com to pre-order this bag!